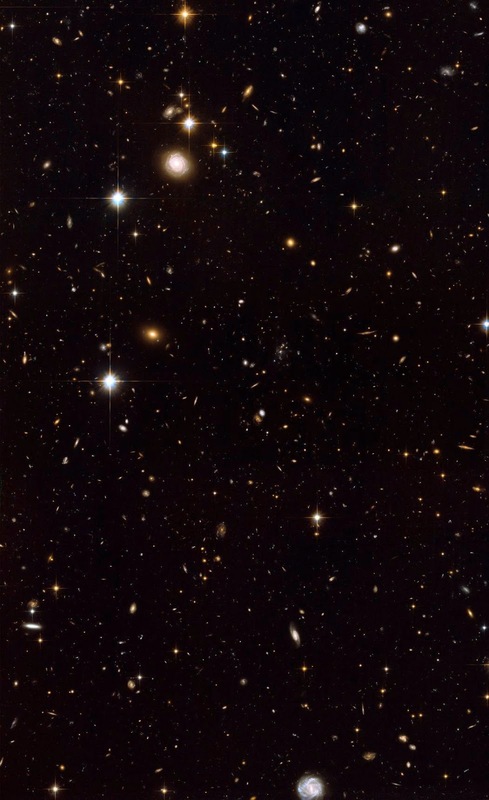 Images from Hubble Space Telescope have provided a dramatic glimpse of a large and massive galaxy under assembly by the merging of smaller, lighter galaxies. Astrophysicists believe that this is the way galaxies grew in the young universe. Now, Hubble observations of the radio galaxy MRC 1138-262, nicknamed the "Spiderweb Galaxy" show dozens of star-forming satellite galaxies as individual clumpy features in the process of merging. Because the galaxy is 10.6 billion light-years away, astronomers are seeing it as it looked in the universe's early formative years, only 3 billion years after the Big Bang.